Highlights of the Sky Bet League One match between Rotherham and Blackpool. Rotherham warmed up for their League One play-off campaign with a hard-fought 1-0 victory over Blackpool. Will Vaulks grabbed the only goal of the game to secure the win for the hosts, who will now face Scunthorpe in a two-legged semi-final. Michael Smith fashioned the game's first chance with the Rotherham man firing wide of goal on 10 minutes. In response Sean Longstaff's curled free-kick tested the reflexes of home goalkeeper Marek Rodak before Ryan Williams blazed over the crossbar when well-placed for the hosts. The hosts continued to create chances but struggled to convert them as defender Richard Wood prodded wide of goal from close-range and then Smith smashed over from an acute angle. 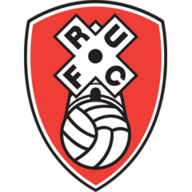 Rotherham continued in the same attacking manner after the restart and deservedly took the lead when Vaulks fired home the opener from the edge of the area on 58 minutes. 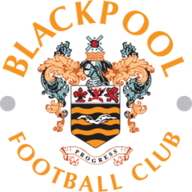 Blackpool responded well as Callum Cooke's rifled shot was tipped over by Rodak before Kelvin Mellor's header brought a better save from the on-loan Fulham goalkeeper 10 minutes from time, but the hosts held on. Could you be the next Super 6 £250k jackpot winner? Enter your predictions for free here.